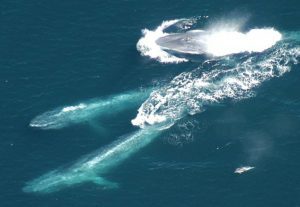 For 20 years, Blue Whale Study has conducted ecological research on blue whales and their upwelling habitats in southern Australia. 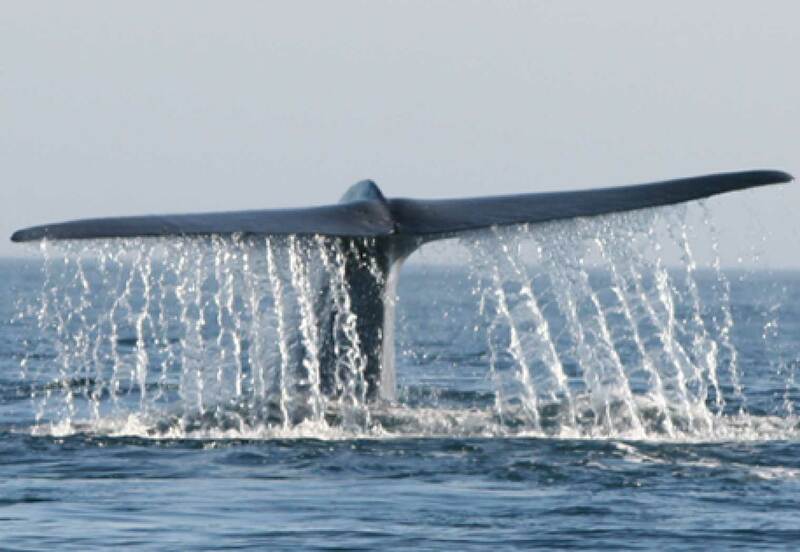 We work in cooperation with local, state and federal governments, NGOs, universities, industry and other research institutions to pursue good conservation outcomes for blue whales. 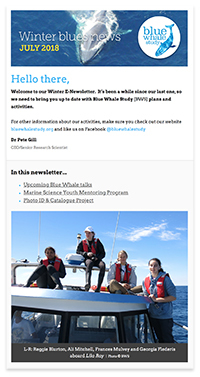 Keep in touch with our research activities, the blue whale season itself and more.